The pool of athletes-turned-entrepreneurs has been growing over the past 10 years. Think b-ballers Shaquille O’Neal and Kobe Bryant, and boxer George Foreman. Chase Minnifield, former defensive back for the Washington Redskins, has joined the esteemed list. He began his entrepreneurial career, post-NFL, at the age of 25. Now, he’s a serial entrepreneur and Forbes 30 Under 30 honoree who is giving away franchises of his company to develop minority entrepreneurs. The CEO of EZ Turn, a vendor management digital platform designed for property managers to more efficiently manage and invoice contractors, as well as Helping Hand, LLC which provides moving, cleaning and apartment turnover services for dormitories and student housing complexes, Minnifield is a champion for minority entrepreneurship. TNJ.com: As a former NFL player, what inspired you to become an entrepreneur, and what was the first business you launched? Chase Minnifield: Being a part of the NFL organization was an incredible experience and I learned many valuable lessons about leadership, collaboration and discipline. However, as a player, your time isn’t your own and there aren’t many opportunities for decision-making and creative freedom. When my NFL career came to an end, I knew that I needed to be in a position to create the lifestyle I wanted and invest in my capabilities off the field. Also, I had a few family members and friends in Kentucky who were going through some challenges so I wanted to be in a position to responsibly help them. I am a born leader so becoming an entrepreneur was a natural transition for me and it has allowed me to create career opportunities for my family members, and help some of my former teammates to become entrepreneurs. Also, I truly believe that as people of color, we are the culture creators driving the new economy so it is vital that we lean into it and invest in our own equity by becoming entrepreneurs. TNJ.com: Tell me a bit about EZ Turn and Helping Hand, LLC. What compelled you to launch such unique businesses? Chase Minnifield: Helping Hand, LLC is a full-service apartment turnover company specializing in dormitories and off-campus student housing that I started four years ago. I remembered how insane move in day was when I was in college, so originally I launched Helping Hand as a moving company for move-in day. And it was actually someone at an off-campus housing facility at the University of Kentucky who gave me the idea to make this a full-service business as that was where their budgets were being allocated. EZ Turn spun out of Helping Hand, LLC and is a vendor management digital platform that enables property managers in the student housing business to more efficiently manage, invoice and communicate with contractors. In its first year, EZ Turn has acquired more 30 clients and managed over $1 million in invoices. Chase Minnifield: I personally believe that paying it forward has to go beyond mentorship so I created a business model that allows me to give franchises of Helping Hand to former teammates and people of color to scale and run their piece of the business. We also provide them with one-on-one coaching and resources to make their journey to entrepreneurship seamless and manageable. TNJ.com: What challenges and/or highlights have you encountered in being a business owner? Chase Minnifield: I was a football player for 25 years and thought it was going to be my life. So when I had to make the transition, I needed to relearn myself and educate myself on the business. I’m in a constant state of learning and growing. Each day comes with a new challenge, but the biggest one I face is finding the right personnel to represent my company and my brand, and trusting in people enough to take a chance on them. TNJ.com: Are there any short to long-terms goals you’re working on for your companies? Chase Minnifield: The short term goals for Helping Hand are to continue to provide opportunities to people of color on a franchise level, and create jobs for people who are looking for work to support their families. People look forward to the summer time here in Lexington and the opportunity to make extra money. For EZ-Turn, the goals are to continue to revolutionize and simplify how property managers and student housing operators deal with 100% turnover each summer and be a company that acquires a minimum of 25% of universities nationwide as clients using our software service. TNJ.com: How important are minority entrepreneurs to the business landscape in 2019? 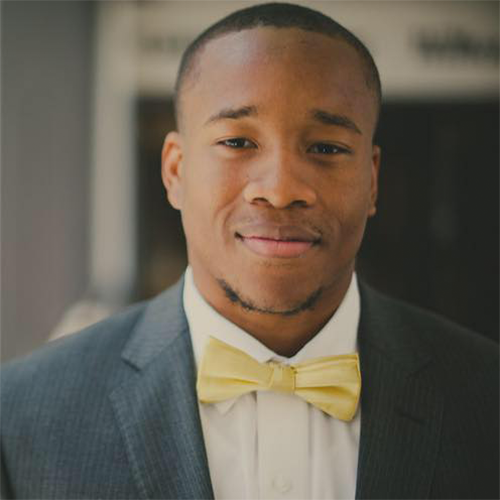 Chase Minnifield: Minority entrepreneurship is vital! There is a paradigm shift happening and culture is driving the new economy. With minorities being at the center of culture, entrepreneurship is no longer aspirational, but necessary in order for us to capitalize off of what we are creating. Representation matters, and it is time that we more aggressively address the “entrepreneur gap” facing minorities, remove barriers and provide the resources to foster the creativity, skills and knowledge for them to launch, scale and sustain successful businesses. TNJ.com: What advice do you have for others looking to maintain serial entrepreneur status? What are some of the sacrifices one has to make? Chase Minnifield: The best piece of advice I can give for people looking to maintain serial entrepreneur status is to stay educated. Education is very important and it is vital to not get comfortable in the knowledge you have and continue to learn from others. Always listen and be a sponge, whether you apply the lessons or not. Being an entrepreneur comes with many sacrifices. It takes hard work to be successful, and when others are depending on you there is more pressure to achieve the goals you’ve set forth. You sacrifice sleep with early mornings and late nights. You sacrifice relaxation and fun by needing to cut back on vacations. You have to allocate money responsibly, so you don’t have the freedom to splurge on buying things you may want. You give up a lot in the beginning, but you gain a lot in the end. TNJ.com: What do you love most about entrepreneurship, perhaps compared to your time spent in the NFL? Chase Minnifield: Entrepreneurship compared to my time in the NFL is a disguised blessing. I thought football was going to be my life. In my point of transition, I didn’t know what I wanted to do and becoming an entrepreneur showed me that what I thought was the pot of gold wasn’t the pot of gold. There is freedom in entrepreneurship, in not being controlled or being a puppet. The decisions I make on a daily basis are for the well-being of myself, my family and my employees. And in being in this position, I wake up with better purpose.